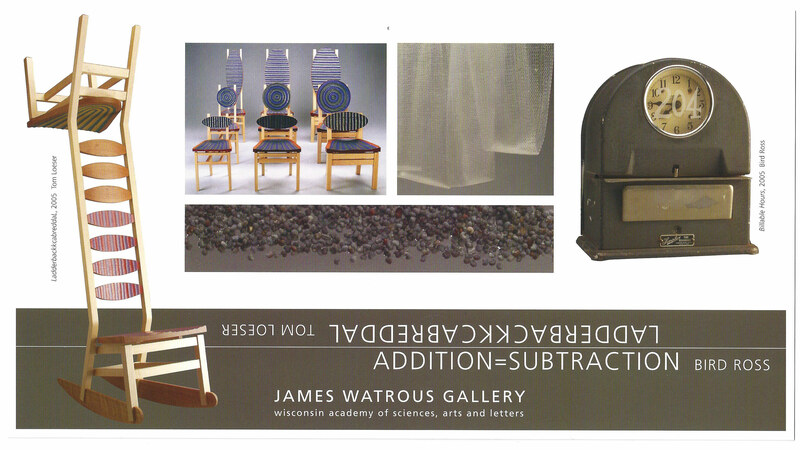 Madison artists Bird Ross and Tom Loeser inaugurated the Watrous Gallery's ongoing series of side-by-side solo exhibitions by contemporary Wisconsin artists. Loeser, an art professor at UW-Madison and an internationally known furnituremaker and sculptor, exhibited his elegant and often whimsical painted and carved furniture pieces. Ross showed mixed-media constructions that combine her interests in materials, process, and performance.